Helps you compete and compare. 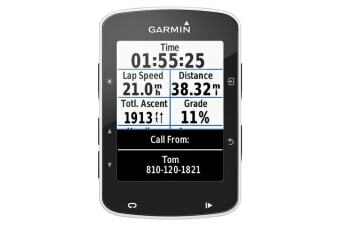 The Garmin Edge 520 GPS bike computer is right-sized for competitive cyclists and packed with the features you crave for. The Garmin Edge 520 compromises nothing when it comes to display. 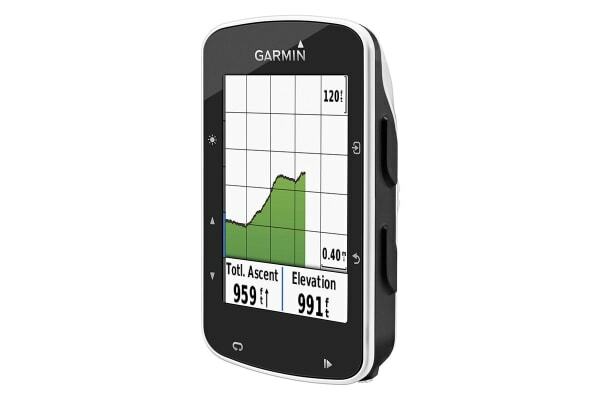 Garmin maximised the display so you get the most live area in relation to the compact size of the 520. You’ll also appreciate the screen clarity in all lighting conditions. The compact, rugged form factor and 15+ hours of battery life of Edge 520 make it ideal for off-road adventures. 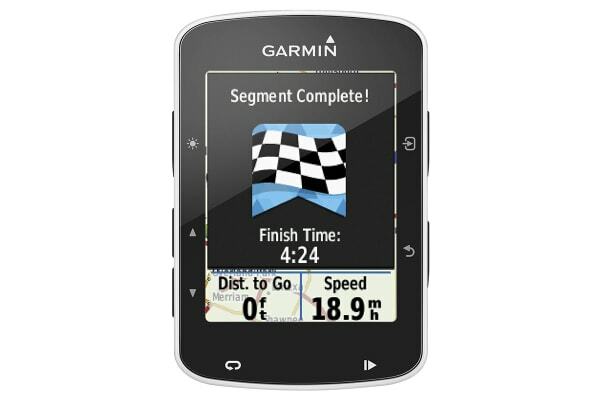 The Garmin Edge 520 delivers with a suite of training capabilities when paired with compatible ANT+ indoor trainers. Just set the target on Edge 520, start pedalling and the trainer will automatically adjust to keep you at your target while it shows your stats. Pair it with a power meter and it offers an additional set of features, like FTP and watts/kg tracking, so you can compare yourself to others, as well as cycling dynamics. A built-in FTP test helps you establish your baseline either on the trainer or on the road. Add heart rate and it can derive your VO2 max estimate and post-ride recovery time, which indicates how long before you should attempt another hard effort. WKO4 software has fully customisable charts which allow you to view and compare specific data to gain clearer insights into your training. Based on the introduction of the power duration curve, WKO4 has introduced several new training metrics, including Functional Reserve Capacity and Pmax tracking, which help coaches and athletes track their specific fitness. The prescription of power-based training is derived from an athlete’s Functional Threshold Power and targeted to general percentages. iLevels are based on the power duration curve and adjust automatically based on your performance. They detect micro changes in fitness to ensure you are always training at the right intensity. LiveTrack lets family and friends track your location in real-time while you’re riding and now it’s even easier to use. When you enable auto-start, you can spend more time focusing on the ride and less on the technology. LiveTrack will automatically detect when you start riding, which means there’s no need to even reach for your phone anymore.